perfect for taking out this hot pink lulu's dress. from Rocks Paper Metal, that I got just recently. I love my new bracelets! they're from Maaria Juicy Arm shop. that I've got an etiquette out of my dress. and burger king. it's strange how much I love that restaurant! we got late so I didn't have time to post anything. off to h&m for a VIP Maison Martin Margiela shopping. the stores will be open for everyone tomorrow. 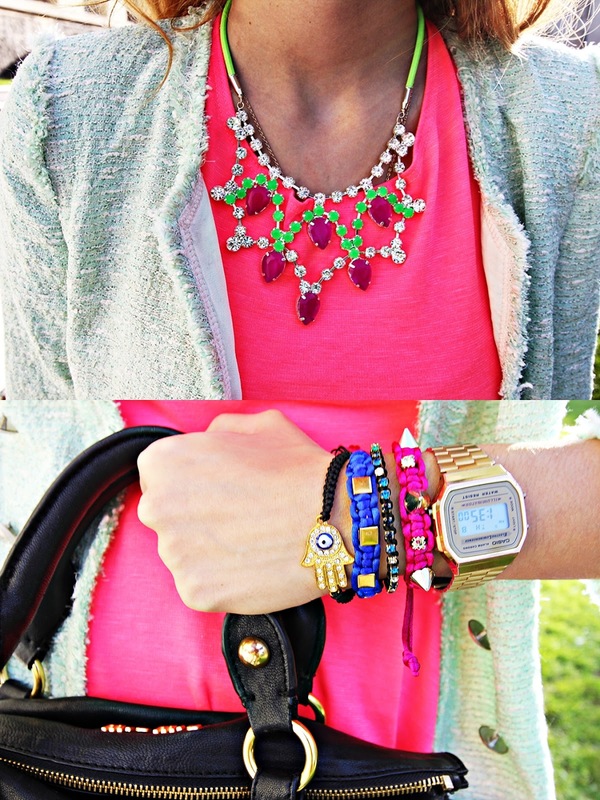 I like the fact that you're not afraid to mix and match and are great using colors in your outfits! That dress is super cute! Especially the color on you! joj te cipele!...mislila sam se i mislila i dok sam nešto pametno smislila, moj broj je nestao! A baš su odlične i klasične i baš mi takve trebaju! Super si skombala svijetle najlonke! Isabella u inspire me. Odlicna kombinacija boja! That dress is just awesome! You looks gorgeous girl! Thanks for inspiring me! Amazing! You look so lovelY! so cute! colorful! dress- beautiful! The color of the dress is a blast! amazing images, love the color of your dress! xO! You're always colored and happy!